A Gwynedd bus firm is to close due to 'financial issues' with the loss of 84 jobs. Padarn Bus, which runs operates routes from Bangor, Caernarfon, Llanberis and to Beaumaris on Anglesey, said services would cease at midnight on Friday. The announcement comes a day after a man, 44, and a women, 28 were arrested following allegations of fraud at the company. A spokesman for the family-run firm, which runs several school services in the county, said the closure was as a result of losing contracts following the announcement of the police inquiry. Driver William Freeman, who has worked with the firm for six years, said workers were told the news as they turned up for their shifts early on Friday morning. "We have no idea what happens next, no one has explained anything properly to us because nobody knows anything. "There's 80 of us and no one knows where we are going to go from here onwards. "Things are not very good at the moment." Mr Freeman said some services had been disrupted on Friday morning as some drivers chose not to carry on working. He and others who are on the road have been advised to tell passengers "as from tonight there is no Padarn", he said. Insolvency firm Baker Tilly said Padarn Bus directors had instructed them to place the company into creditors' voluntary liquidation. "Throughout the past month the directors together with their advisers have been working closely with all stakeholders including the councils, Finance Wales and the Welsh government to try and find a way to preserve the business, but despite their best efforts this was, ultimately, not possible," a spokesman said. 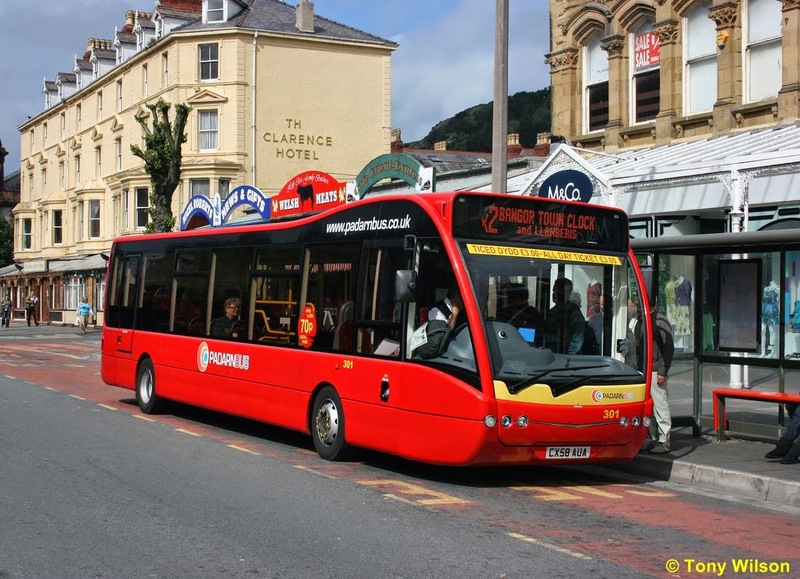 The Welsh government said on Thursday that it would work with Gwynedd council to minimise any disruption to passengers from any service withdrawals by the company. Gwynedd council said it was looking for firms to run alternative services and its first priority was to ensure school transport would be provided from Monday. Information about replacement services will be published on the council's website. Alternative transport on Anglesey will be provided by Arriva Buses Wales, Gwynfor Coaches and O R Jones Llanfaethlu. There will be with no changes to bus timetables on Anglesey services and the new operators will accept Padarn Bus season tickets. Finance Wales, which backs small and medium business in Wales, confirmed it invested in Padarn Bus, but said it could not comment on the details of its investments. 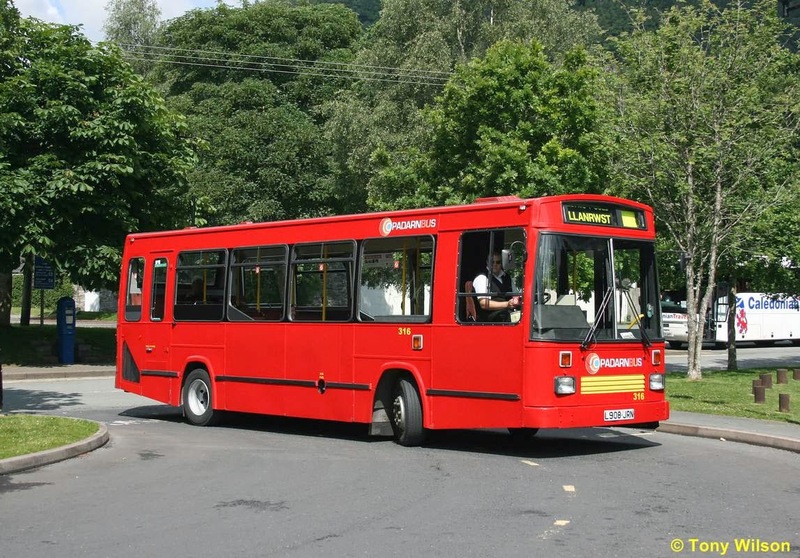 Padarn Bus, set up 25 years ago, is one of the largest bus operators in the county and runs local bus services, school coaches as well as private hire vehicles. The company also runs the popular Snowdon Sherpa bus routes linking villages around some of the most popular tourist walks around Snowdon. Edinburgh's tram service has taken its first paying customers as the long-awaited route from the airport to the city centre opens to the public. The first tram services set off at 05:00 BST from the Gyle Centre in the west of the city. It follows six years of disruption and problems, including a bitter dispute between the council and its contractor. The Edinburgh tram route cost £776m and covers 14km (8.7 miles) from the New Town to Edinburgh Airport. Tram works In the decade since the first money was allocated to the project, the price has doubled, the network has halved and it has taken twice as long to build as originally planned. The project was almost scrapped just weeks before the construction began in 2007 and later ground to a halt for months when the company in charge of the trams fell into a bitter dispute with the main contractor. The people of Edinburgh suffered six years of disruption as roads were closed for construction and businesses have also complained it caused them to lose trade. Edinburgh has 27 trams in its fleet, although only about half of these will be in service at any one time, because the council bought sufficient trams to cover the original route to Leith. Tram vehicles, each costing about £2m, can take 250 passengers - 78 seated, 170 standing and two dedicated wheelchair spaces. The full journey from the airport to York Place in the city centre should take about 35 minutes. The 14km route has 15 stops along the way, three of which connect with rail and bus services. The tram services will run seven days a week, with a reduced timetable on Sundays. During the week, the first trams will run from the Gyle in the west of the city at 05:00 and from the airport at 06:15. Trams will run from York Place to the airport from 05:29. At peak times, the trams will runs every 8-10 minutes. The last trams to travel the full route will leave from Edinburgh airport at 22:45 and from York Place at 23:08. Tickets cost £1.50 for a single in the city zone and £5 for a single if you want to go to or from the airport. Operators warned passengers should get a ticket before getting on the tram as there will be a £10 fine for anyone travelling without a ticket. It had been hoped the tram fleet would offer free wi-fi, but it is understood most carriages will be installed with internet access in the weeks and months following the launch date. Original plans to take the tram line to Leith were scrapped but could still be implemented in the future. Edinburgh City Council transport convener Lesley Hinds said: "You can't underestimate the amount of money over-budget and the time it's been over as well. Obviously that has been extremely frustrating and I think it's been damaging to the city of Edinburgh. "Our purpose over the last two years has been to get passengers on the tram from the airport to York Place. "We do have enough trams to go down Leith and we have the rails because that was all bought before. "There will be a report at the end of the year to see how people are taking to the system and it will suggest how we might want to further invest in public transport and the trams come under that." There have been calls for a public inquiry into the trams fiasco but Scottish Transport Minister Keith Brown said there are no immediate plans for one. "We've said let's wait until the system is up and running and then look at lessons to be learned," Mr Brown said. "I've spoken to the council already about this and will speak to them in future because the council has a number of legal actions ongoing and we can't have inquiries which cut across that. "A total of £776m has now been spent on the system so let's make as much money as we can and get people on as many trams as we can to help repay that cost."